Looking for a way to maximize your golf swing? Stop in and take advantage of our free custom club fitting! 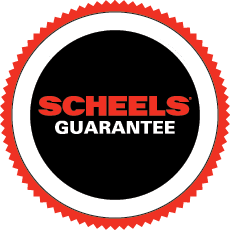 For the first time, SCHEELS is offering custom golf club fitting. When you order custom fit clubs, they are the same price as standard clubs. There is not an up-charge for custom fit clubs. Our experts will work with you to find the perfect driver or set of clubs for your individual swing. The fitting process is designed for you to experiment with any club we offer. Using static and kinesthetic measurements, discover what length of club is appropriate for your individual arm length, stance, and swing. Learn the correct flex for your swing speed. Find your lie angle by tracking contact with the ball through a series of hits. Connect your swing with a grip that fits in your hands.